Relationship is that bond of trust and mutual understanding, which creates awesome memories in one's life, boosts one to live a wholesome positive life. Time to time, we learn more about maintaining it better. The world and other related things seem meaningless to us without relation with ourselves and others. There are many kinds and types of relationships, some we make and some already bond with us since our birth. But along with this changing era, it almost seems that at times, we need to maintain the relations in order to keep them alive and going so that it could make that proper sense and could give us back the same satisfaction of establishing a stable relationship. Infact, most of us nowadays want to create a relationship with whomsoever, friends or a love relation, and seeks to make it a stable one. But aren’t we putting in enough, maintaining relations take a good amount of work to make it more reliable and worth, most important the both sided parties should be willing to invest time and to maintain a proper empathetical level to understand each other and on their part to be good consolers. The relationship is that bond of feeling which needs to be nurtured and enhanced from us by giving it that vital importance and required time. As it’s true, there are some compromises and limitations which aren’t meant to be crossed. But still in this time, relations and its rigidity and authenticity have taken a turn, that’s the reason nowadays relations often needs to be sustained enough to carry it on. According to me, being in a relationship, one has the freedom to offer useful guidelines, advice, help or a solution to a certain problem, but here the wheel is being turned the opposite direction, demanding advice to create a healthy relation with each other. Well, in my life, the story being happened, it wasn’t really a need of suggestion/advice, as it is simple when someone wants to be with you, for who you are, will remain with you until end, and if somebody demands you to be changed, then it is likely to be a short-term relationship. There would be several people around you with several pieces of advice and ways to make a relationship smoothly going. But ultimately there are two people, that is, you and your dear one who has to work upon and bringing that spark back to the relationship, and I am not saying in terms of lovers only, but for every big as well as small relation to survive to its best. 1. Between two persons, there should be personal space, so that along with their relationship, they could get along with themselves as well. This could be done only by setting and expressing on a clear basis, their priorities to each other and each should try to understand it better and not lead it in a way of misunderstanding or ignorance on each other’s part. 2. It is more important that two persons should clearly communicate with each other, whatever, it is, as what’s going on in their lives or any major change could happen in their professional/personal lives. As we all betterly know that, communication is the key to any relationship, it becomes really important to discuss with each other whatever the matter is, (In a relationship, the point makes sense when a person listens to another on a non-judgemental basis). Talking about the worst advice, I have got is when either of the two is depressed, upset or angry because of some reason, and another one betterly knows about it. Then having that person or giving him/her break for good amount of time and not showing up at all, could even break the relationship. As naturally, if someone is depressed, you should console him/her by talking to them and actually not leaving them alone in their time, when they desperately need you. But in my case, I realized, there was more need for me about learning different people and their ever-changing behaviour which even sometimes led me to over-thinking and often in a situation where my mind couldn’t see the people intentionally doing actions/behaviour, which has given me a lot of grief. Yeah, it’s ture, being in my simplistic nature, I have been in a situation where I had caught up with double-faced personalities, who say something else and does another thing, which has confused me a lot. According to me, if one is trying to form a relationship, both parties should know or at least make a generous effort to know what they really want from that relationship? This includes taking in their priorities, as to expect to which level their relationship could be properly set. Maybe I think my way, which other people wouldn’t agree, but still it’s an important fact to be considered so that, it shouldn’t be felt like tolerance or suffering in the name of the relationship. 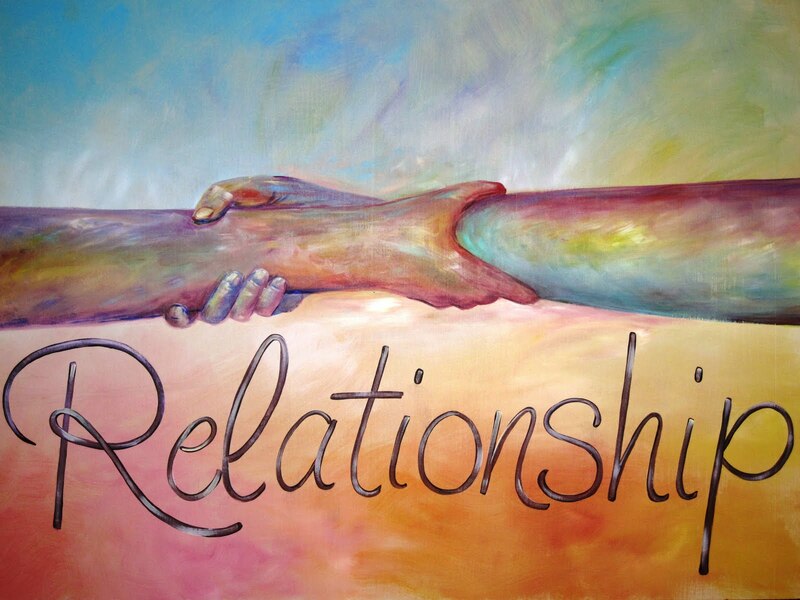 Well, a love relationship couldn’t be compared to relations which we have with our friends. Because as we know it, in front of our friends, there’s no need of pretending as such much, as in a love relationship, we might try to change ourselves or behaviour which the other person already has or might expect from us. My relationship is more special with my friends. I can talk with them whenever I want, we exchange gifts without any occasion and most importantly friends could really make our moods turn around. Actually, it’s not the fault of the relationship when it’s been formed as with whomsoever, every relation has it’s own charm. But it is the sole responsibility of people being joint through that bond of feeling called ‘relation’ to carry it forward with mutual understanding. The initial mistake I made while starting relation was that I behave in the same manner and the same way, like kindful and caring with everyone, without knowing that what the next person wants us to behave. I treat everyone the same way. At last, I ended up being hurt and while not able to cope up with the person who wants me to change my simple behaviour and to become more open. And eventually, I started blaming myself for every single thing. It took time for me to realize that there was nobody’s fault, but the relationship is started, finished itself off via my lack of time invested in understanding the real intention of the person, or what he expects out of this relationship. From that time, I strictly opposed myself not to trust people easily infact on whatever they say just to gain my attention. And ofcourse not to change me for the other person’s sake. Being a relationship is the most awesome bonding, but it depends on the two people that how they want to know themselves better as learning to a create a healthy and an ever lasting relation. Shaima Khan is an MBA Post Grad, who is by nature a curious knowledge seeker, an avid reader, and an amateur writer on the learning path, who writes simply for her inner joy and is more keen towards gathering every interesting part of knowledge. Can Anxiety Diagnose Your Relationship?